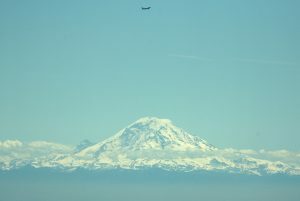 Bremerton National Airport vying for the chance to host an aviation conference that would bring hundreds of planes and pilots to Kitsap County. Port staff submitted a proposal last week to be considered as a site for a 2015 Aircraft Owners and Pilots Association Fly-In. The fly-ins include exhibits, aerial displays, vendors and food. Last year’s Northwest event was held on Aug. 16 in Spokane. If it’s selected for a 2015 fly-in, Bremerton National would need to prepare for 500 planes and 900 vehicles, said Fred Salisbury, director of airport operations. AOPA will narrow down a list of finalists in October and announce the host site in December. Crews are repaving portions of the Bremerton airport this month. Salisbury said the project is ahead of schedule, but the completion date could depend on the weather.